In order to understand a craft, it is important to not only understand it from the technical-economic point of view but also to understand the spirit behind it – the meaning the craft holds for the craft community. There are crafts which slowly languish and die not only because the craft products do not bring enough remuneration to the craftsmen but also because there is no sense of pride and self esteem in working with the craft. I came across this phenomena first while conducting a workshop for Kondapalli crafts community. 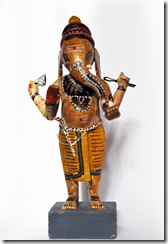 Kondapalli is a town near Vijayawada city, Andhra Pradesh, India and is very famous for its wooden figures/toys. It is 16 km by road from Vijayawada on National Highway 221 and on Vijayawada-Hyderabad railway line. 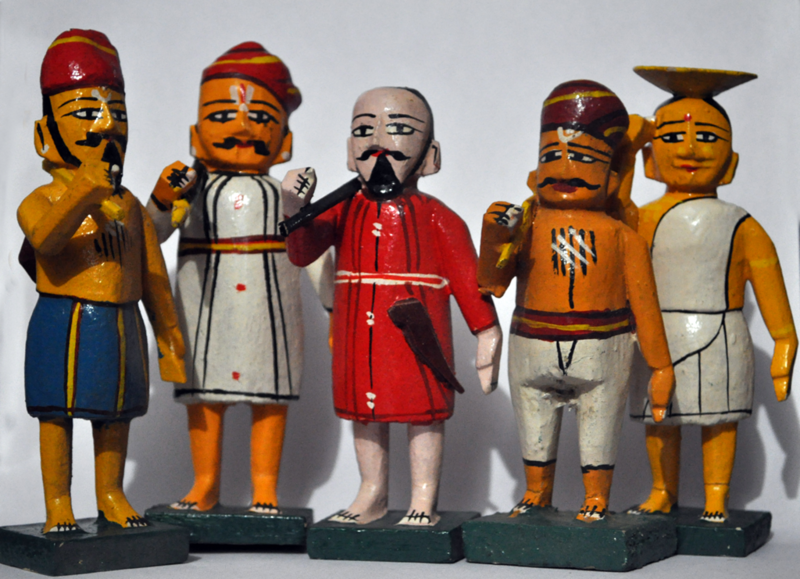 Kondapalli toys are carved out of locally available softwood called ‘Tella Poniki’. The wood is so soft that it can be easily carved by a single hand tool to create beautiful intricate forms. The wood grows in the hilly areas surrounding the place where the craftspeople live. The homes are small – often consisting of two rooms (one room to cook and the other to store articles/sleep), an open verandah and a small garden. The wood was often is short supply and the craftsmen had to go further and further away to collect wood with the passing years. 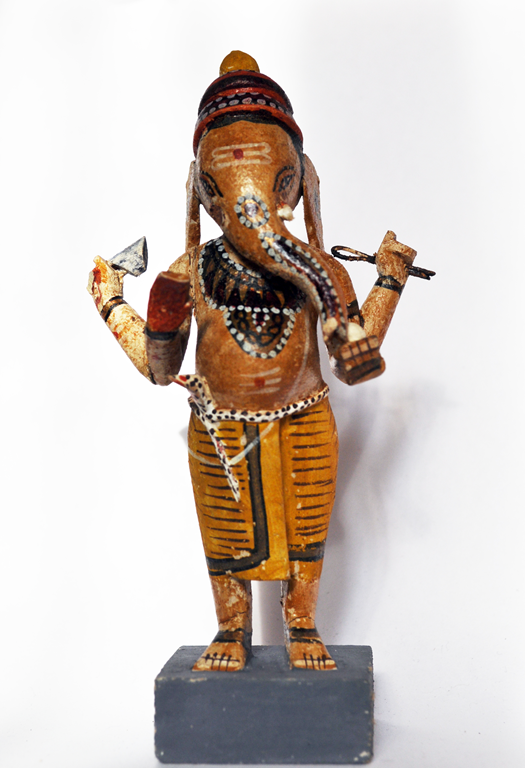 The craftsmen make wooden toys representing mythological gods and goddesses as well as ordinary people busy in their different occupations. Some of them also carve local village goddesses from wood. These toys are often used in a festival called kolu. During this nine day festival the dolls are arranged in steps. Kolu is adorned with dolls – predominantly with that of the gods and goddesses depicting mythology. It is a traditional practice to have at least some wooden dolls and one can find many Kondapalli toys as part of the Kolu.The presence of these dolls in the house during the nine days signifies the divine ‘godly’ presence in homes. Since Kondapalli dolls are used in this festival, there is a lot of self esteem and pride associated with making of the wooden dolls. People from other social strata also respect them. The self esteem and respect which a craftsman holds for his craft arises out of how he views himself as a custodian of culture and certain belief systems and the importance his work holds in the society. I have come across and worked with other craft clusters wherein the craftsmen are ready to give up their century old craft for a low paying job providing sustainable income or even other occupations such as vegetable selling. It was a pleasure to work with craftspeople who took such obvious pride and joy in their work. In the strongly hierarchical order prevalent in this region, the Kondapalli craftsmen were respected due to the spiritual-religious nature of their work. Although there were many craftsmen practicing this craft and the craft was doing well, the craftsmen also felt that the local market was not giving them enough remuneration for the craft. Scarcity of wood, increase in cost of living and modern influences were bringing dissatisfaction. One incident which struck me was when a craftsman described how they had carved a large order of pen holders using the same carving skills – but did not find joy in making them. While probing further, I was told that some designers who came to the craft cluster were keen on design intervention which would help them sell for new markets such as corporate gifts. The craftsmen got a large order for the new corporate gift designs. Since the large order gave them a sustainable income the craftsmen did take up the order but were not happy about it. They specially resented the fact that mythological gods/goddesses had to be carved (in three dimension in the front and flat at the back) and stuck onto the pen holders. It felt strange that they did not like to work on an order which promised them sustainable income. It made me think, whether designers should be satisfied with just providing the craftsmen enough income through new design interventions or should they also aspire for something more through the new designs? Craft is a creative process and should not stagnate – only a continuous process of innovation can help a craft survive in contemporary times. But as designers why do we only cater to the user aspirations and needs of the consumers but do not pay the same attention to the needs and aspirations of the craftspeople? Such crafts are intrinsically linked to a way of living: living close to nature, with age old stories and mythological figures, with customs and tradition that give meaning and richness to life. It may be more difficult and challenging to weave these factors into modern products and lifestyle through design intervention but it needs to be done. Or else, we may keep the craft technique, skills and practice alive but in the process we will lose something more precious – the spirit which keeps a craft alive! Next Next post: The law court or the market? How should we share designs?